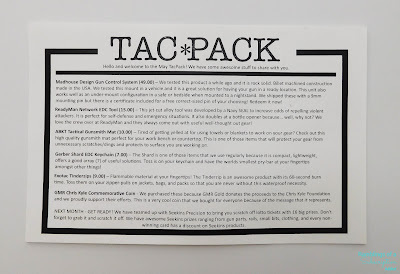 How Much is TacPack? 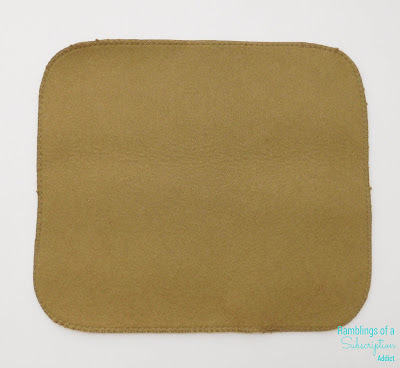 : I can no longer find where these can be purchased as one-offs, but the subscription is currently $49.95. 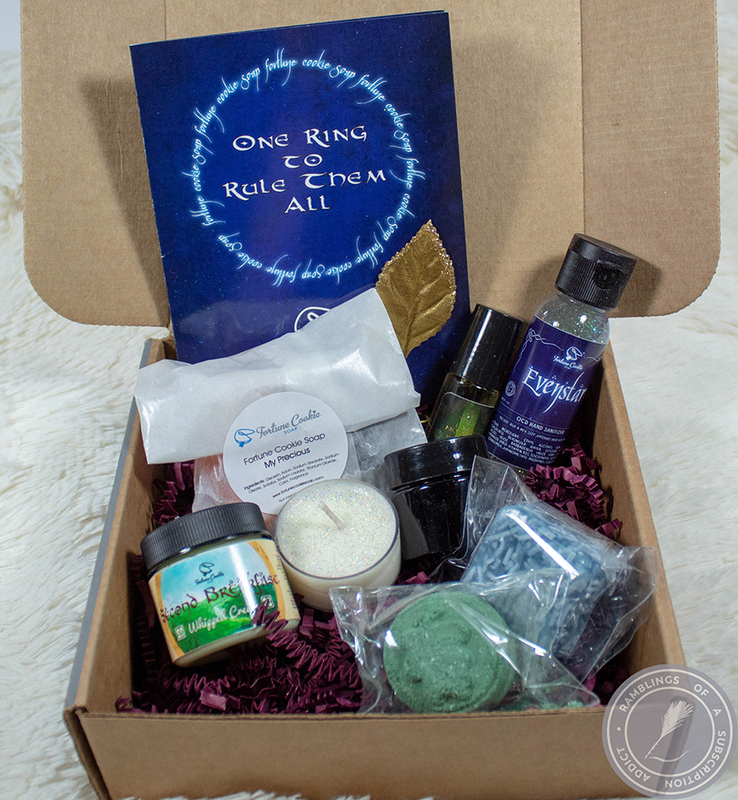 You can also purchase past boxes when they are available and even items from the past boxes or specialty boxes. It's that time again when my husband is super excited to get the mail! 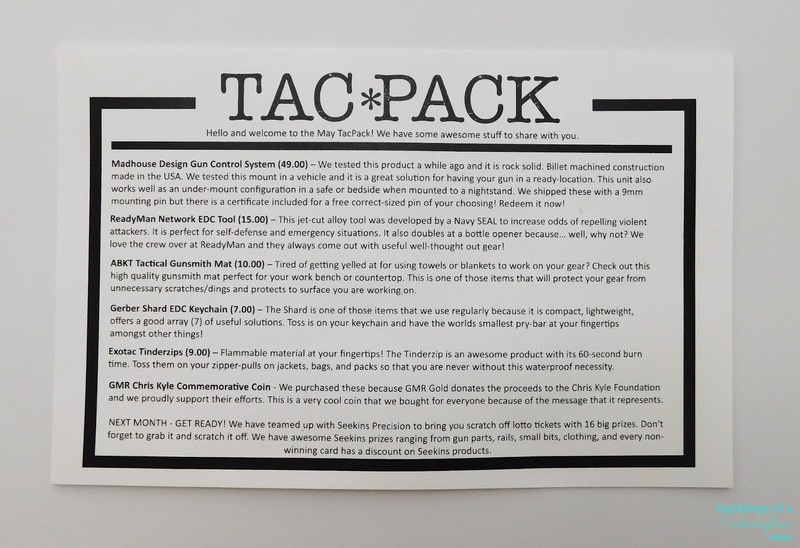 ABKT Tactical Gunsmith Mat ($10.00) - I cannot find this particular mat online, only a longer one for rifles. This is definitely not made for cleaning long guns, but it's perfect for a pistol or parts of a long gun. It's a thicker quality mat and a good way to keep tables clean while you are using gun oil. 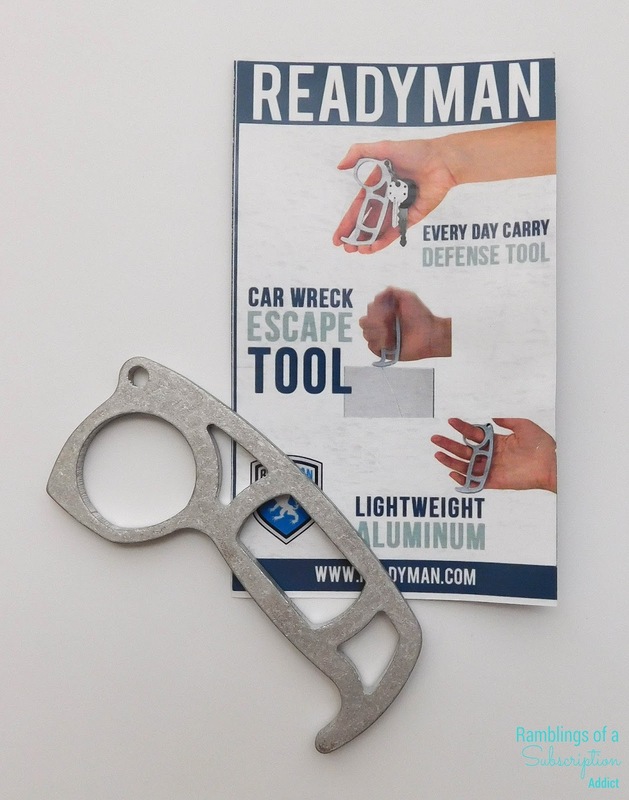 ReadyMan Network EDC Tool ($15.00) - I admit, I didn't quite know what this was at first. Once I realized, I found this fascinating. 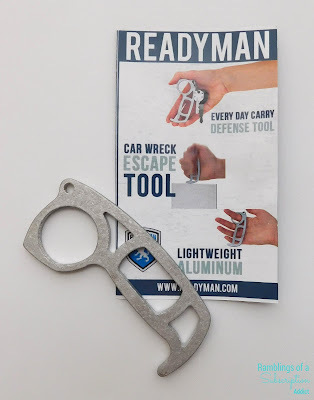 You can use it to break through glass (or something else if you are strong enough) or keep it in your hand to add weight if you had to punch someone. Overall, it's a super cool tool that you can easily add to your keys (and not weigh them down)! 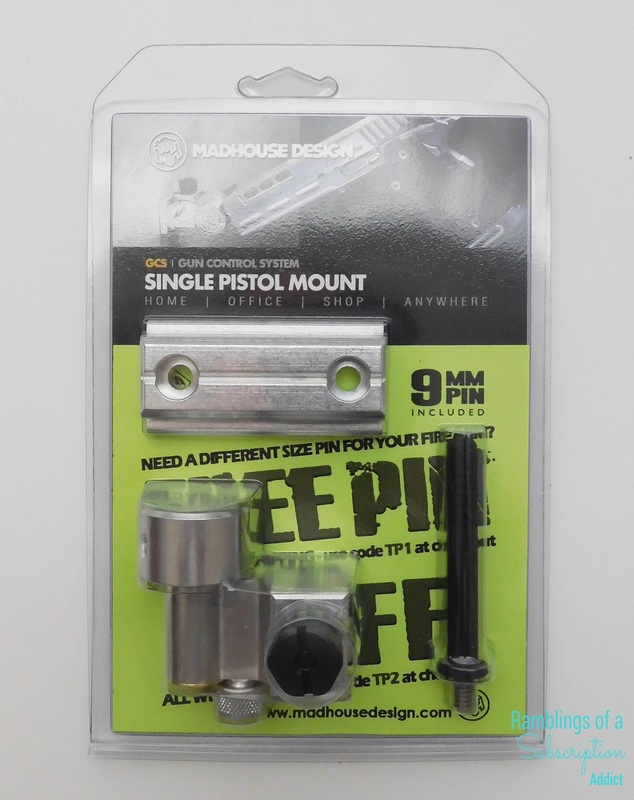 Madhouse Design Gun Control System ($49.00) - This is the big ticket item of the month, a pistol mount that you can put on basically any flat surface. 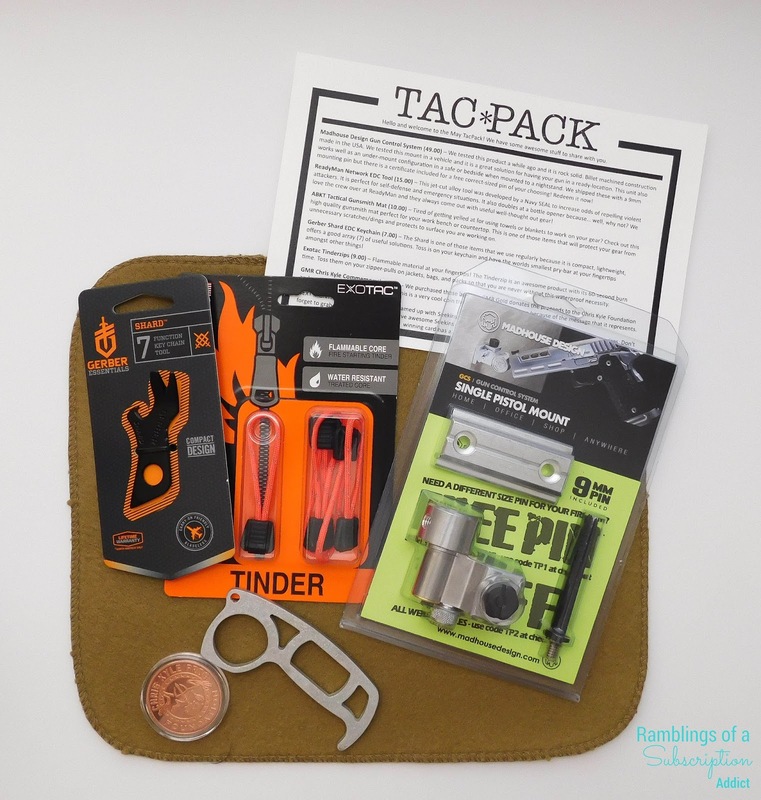 It came with the piece for a 9mm, but there is also a voucher to get the right piece if your pistol is a different caliber. 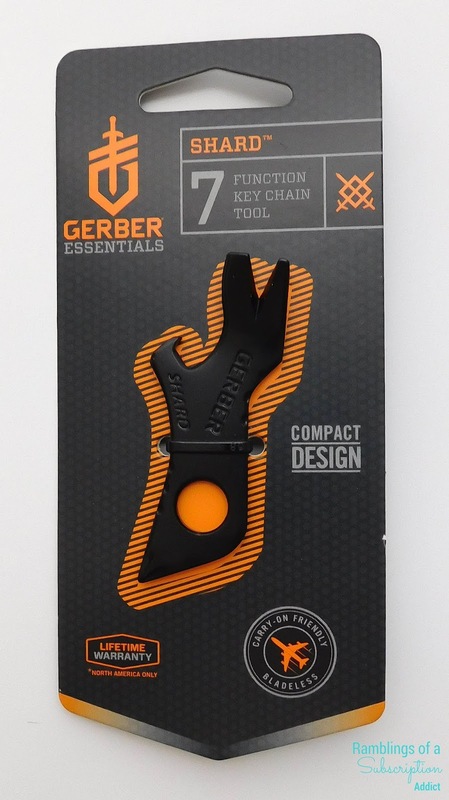 Gerber Shard EDC Keychain ($7.00) - This is a funny item because we already have two. 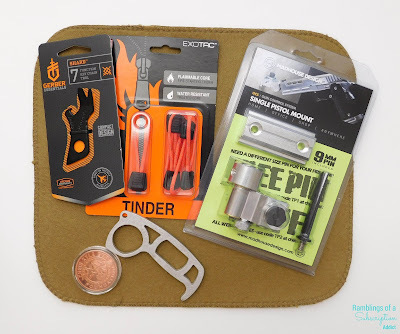 I guess you can never have too many and this one will be put in one of the go bags. The tool includes a Pry Bar, Small Flathead Driver, Wire Stripper Puller, Large Flathead Driver, Bottle Opener, Lanyard Hole, and a Cross Driver. There's something for just about every situation. 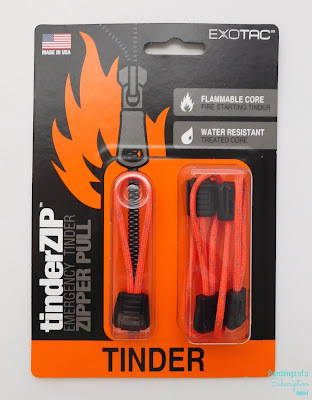 Exotac Tinder Zips ($9.00) - These are seriously the coolest things. You replace the pull strings on jackets and bags, and you will always have some water resistant tinder if you ever needed to start a fire. 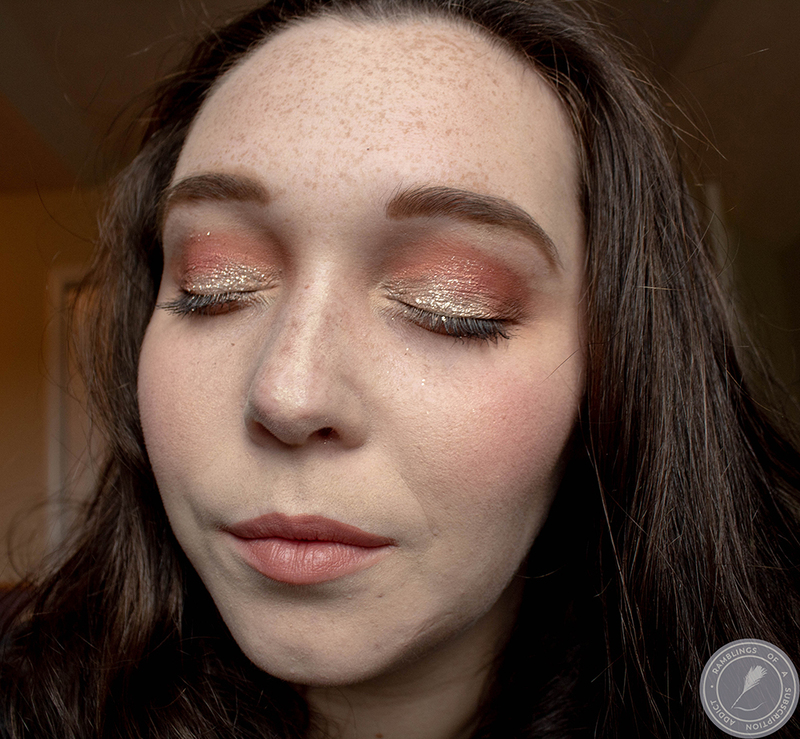 It comes in orange and black, so you can either have ones that blend in or stand out! 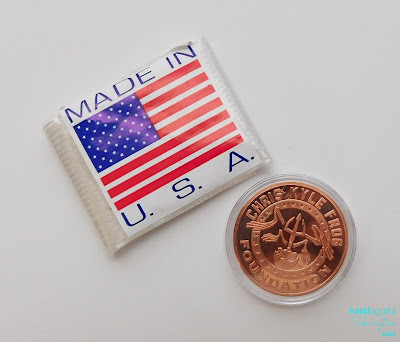 GMR Chris Kyle Commemorative Coin (Priceless) - Yes, there is actually a true value on this item. However, it is based on the quantity you purchase as to the cost. It's definitely my husband's favorite item of the box solely based on the meaning. I'm not going to go into detail on Chris Kyle's past, but it's a story that should be read. The value of this box is at $90.00, which is almost double the cost of the box. The items were great and the addition of the Chris Kyle coin was the best possible addition. 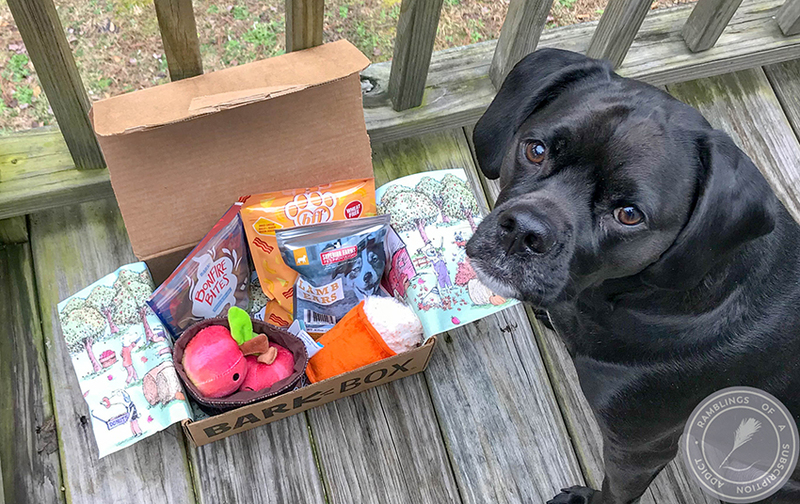 Next month's box is going to include a scratch off for a potential huge prize from Seekins, so husband is already looking forward to that!